We already know that Call of Duty: Black Ops 4 is primed to be a holiday blockbuster, thanks to its massive opening weekend. But Activision has provided a little more detail as to how the multiplayer-packed sequel is performing on the market. The company posted details from its earnings report earlier today, and sales statistics show that Call of Duty: Black Ops 4 has already sold enough copies to lap Call of Duty: Black Ops III on a 3-to-1 basis. That’s quite a leap, considering that the game doesn’t have a single player campaign like Treyarch’s previous game did. The game is particularly selling well on the PC front, which is good news since Activision put a primary focus into the performance of that version, although it gave just as much love to the console versions for Xbox One and PlayStation 4. 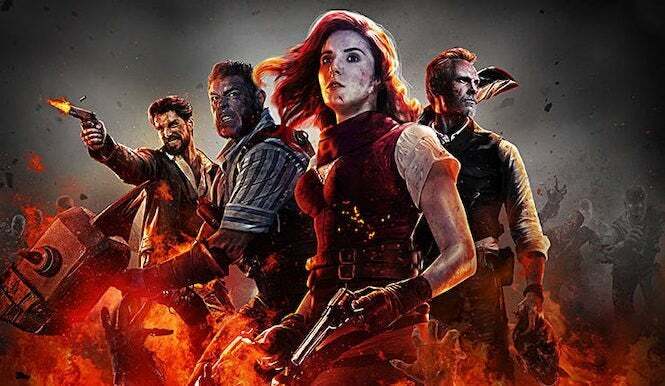 As a result, Black Ops 4 has become one of the fastest-selling games in the series. And it helps that it had the inclusion of its take on Battle Royale, Blackout, included in the package right from the get-go. Call of Duty’s main competition, Battlefield V, won’t be introducing such a mode until at least March 2019. In addition, Activision confirmed that engagement numbers are higher for Black Ops 4, with a 16 percent increase over Black Ops 3, along with a 20 percent increase in hours played. Keep in mind that this is before release of additional content which will soon be offered through the company’s Black Ops Pass. Although a plan for said content hasn’t been revealed yet, it’s expected to arrive within the next few weeks, especially with the holiday season coming up. We’ll let you know as soon as the company reveals what’s coming our way. For now, Black Ops 4 looks to be a leading factor for Activision’s big holiday push, although the company also has Destiny 2: Forsaken on the market; and Spyro Reignited Trilogy, which features a three-pack of classic Spyro the Dragon adventures, arrives this Tuesday after a lengthy delay. Call of Duty: Black Ops 4 is available now for Xbox One, PlayStation 4 and PC through Battle.net.